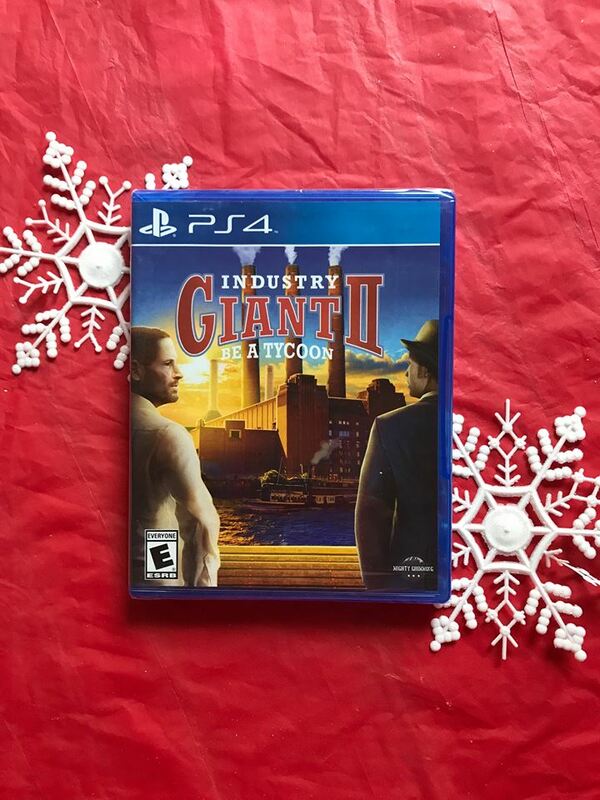 We reviewed Industry Giant ll (2) - Be a tycoon from UIG Entertainment . Industry Giant ll is one of my favorite type of games to play. It is a playstation 4 game. 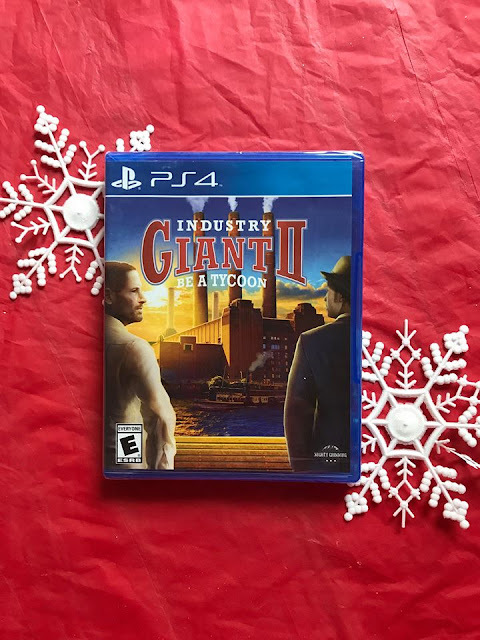 The object of Industry Giant ll is players will start off with a farm, build up their business from a small beginning as they build their tycoon into a massive corporate empire. Players begin the game with very little money in the year 1900. Making skillful decisions and having large ambitions you can build a tremendous empire. Players will make decisions that will be critical to which products they should manufacture, where they should gather raw material, where they should sell products and how to transport the products effectively. Players will start off with a small company centered around buying, selling, building, transporting and trading in order to build up their resources. Its an awesome game, we love it! The game has 20 different maps to build industries across, along with 50 different interactive vehicles, and more than 150 products that have been made in the 20th century. The graphics are great. We are in the middle of building our empire into mega power! This game looked very interesting, the idea of building the empire my into something very powerful is great. it attracted me in the first place. thanks for sharing your game review. UIG Entertainment GmbH has made some great stuff. One of my sons loves game nights with his friends. I'm sure it's just an excuse for drinking and eating but they have a ball. He has a playstation so he should know about this. Awesome idea! This is way better than games that involve violence. Love the idea of growing to something big and profitable starting from a small farm. The skills learnt here can actaully be useful compared to many other games that are in the market. That looks like a fun game. I have to admit that I do not actually play PS4 games, but I know a lot of friends that do. I'll mention this to them! I love games that educate the kids about the economy and how it usually works, it's also so much fun to build your own business and all that! I think this is awesome! Sounds like a fun game. We aren't gamers in our family but I'm sure one day my kids will be. Sounds like the perfect holiday gift for gamers! My sons would love this game. It is fun to watch them try to out-best each other with games like this. I will let them know and see what they think about it. This is great! As my kids get more into games I have become more aware of what is appropriate and what is out there. I like that this one is not violent. This ps4 game looks so interesting. I bet my niece will love thia for his Christmas gift. I will definitely check this out. I'm not a video game person, but I have friends who are who will probably love this game!